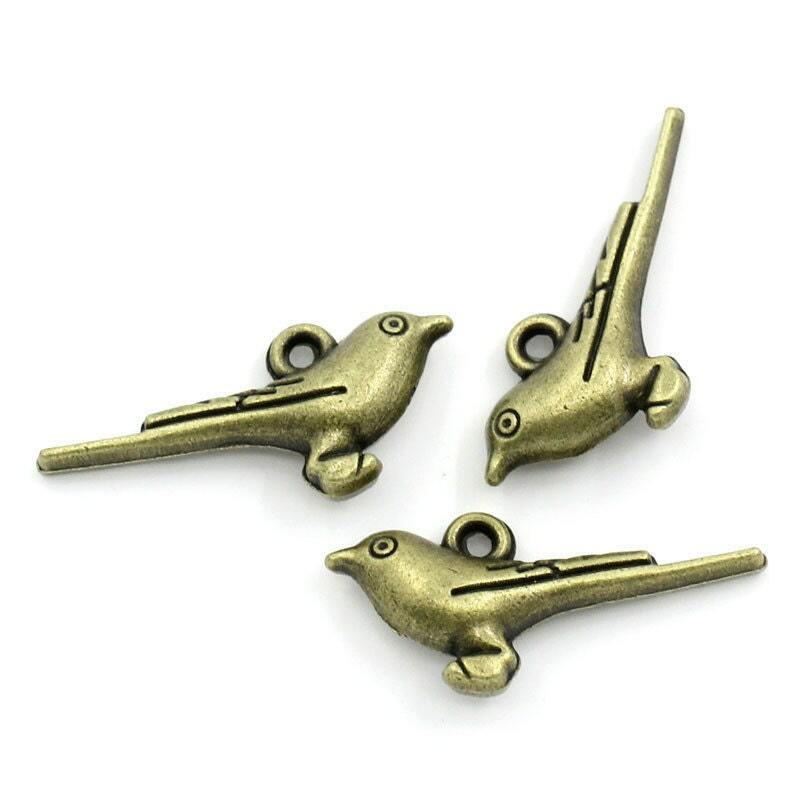 10 antique bronze finish long tail bird charms! 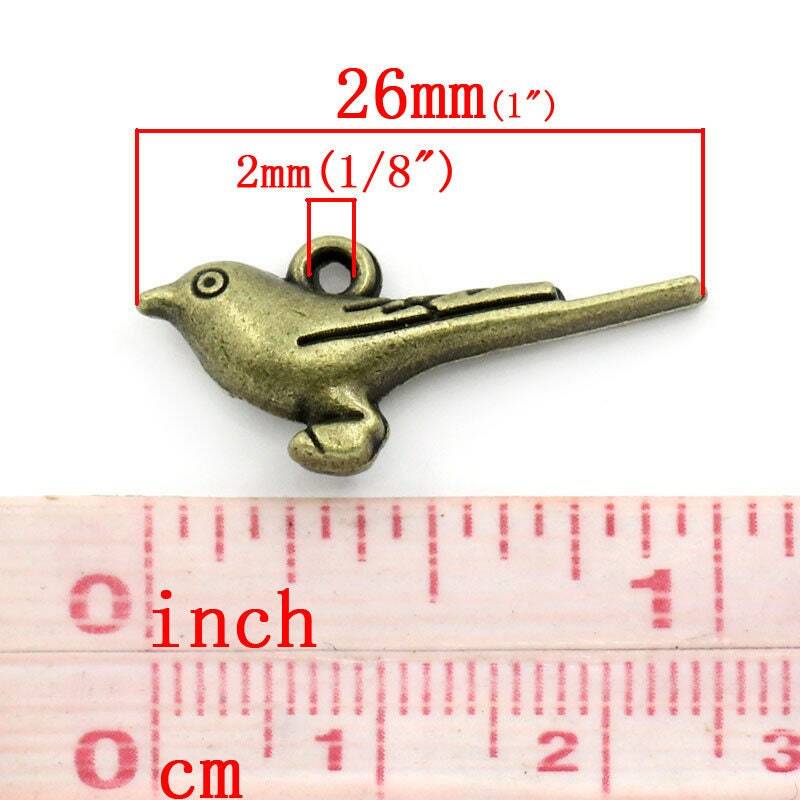 They are double sided with great detail and measure 26mm x 12mm. Create adorable earrings or use them as accents for bracelets, key chains, and more . 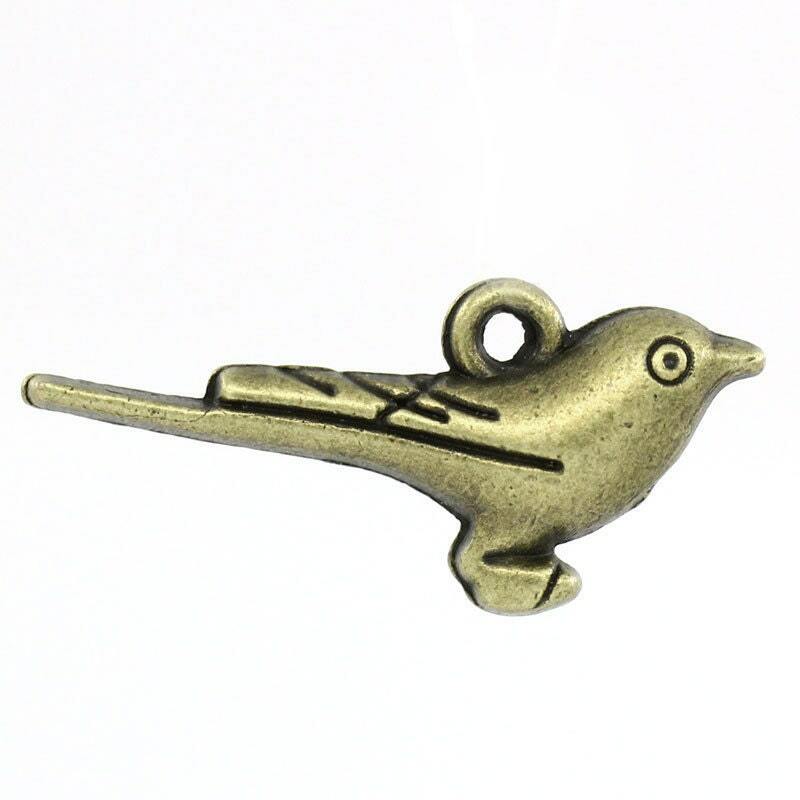 These sweet little bird beads are made of zinc metal alloy and are lead and nickel free.